Jane Lott founded Silver Rain Estate Transition Services after helping close the estate of a friend. Realizing how many of her friends were being overwhelmed by this distressing process, Jane determined to be of service by forming a company to help others in similar circumstances. A member of the American Society of Estate Liquidators and of the National Association of Professional Organizers as an estate organizer, Jane has also been a member of the board of directors of Marin Senior Coordinating Council/Whistlestop. A fifth-generation Californian, Jane holds a graduate degree from Mills College in Oakland and has taken specialized coursework with the National Association of Professional Organizers (NAPO) and the American Society of Estate Liquidators (ASEL). Since 1999, Silver Rain Estate Transition Services has been providing customized estate services to people needing help with estate sales and liquidation, moving, downsizing and real estate cleanouts. Our core team members have all passed LiveScan background checks. Our crew is bilingual (Spanish) and covered by workers’ compensation insurance for their benefit ~ and yours. Marissa brings her SFSU Phi Beta Kappa education and her 15 years of customer service to Silver Rain as a project coordinator. She is at home in both English and Spanish, and helps both clients and crew understand the needs of a particular project. A dedicated runner, Marissa handles the operations of a project, ensuring that everything arrives at its appropriate destination in a cost-effective manner. Led by crew chief Rafael, the Silver Rain team works quickly and efficiently to pack and deliver your possessions to their destinations. Rafael has more than 20 years experience in construction and moving and has disassembled for our clients such items as an electric tramway, a home-built tree shredder, and various structures and electronics. 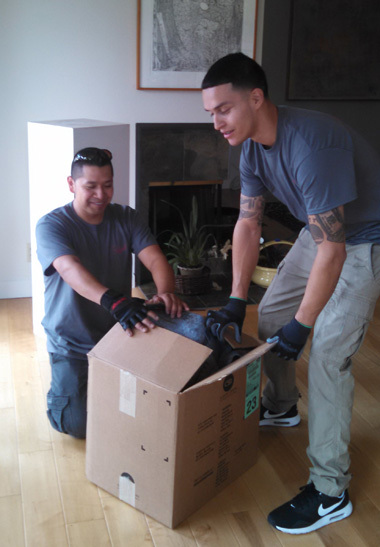 Pablo adds muscle to the crew, as well as packing and loading experience. Like the others on the team, he is courteous, helpful and knowledgeable. With more than 10 years experience in the construction industry, Pablo has a strong work ethic and a clear understanding of the importance of project deadlines. Sara is a force to be reckoned with when it comes to packing and cleaning. In addition to working with Silver Rain, Sara runs her own cleaning business, so she knows the importance of keeping a project on time and on budget. Sara also understands customer service and takes pride in her work. 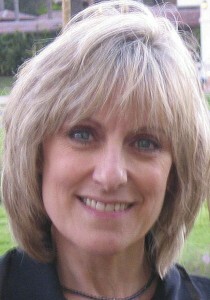 Originally from LA, Sara moved to Marin years ago to be near her grandchildren.